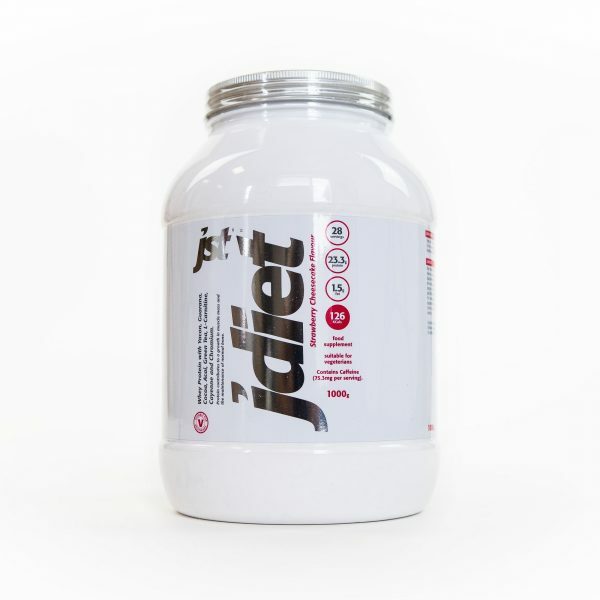 JDiet is the latest breakthrough formula in the supplement industry. 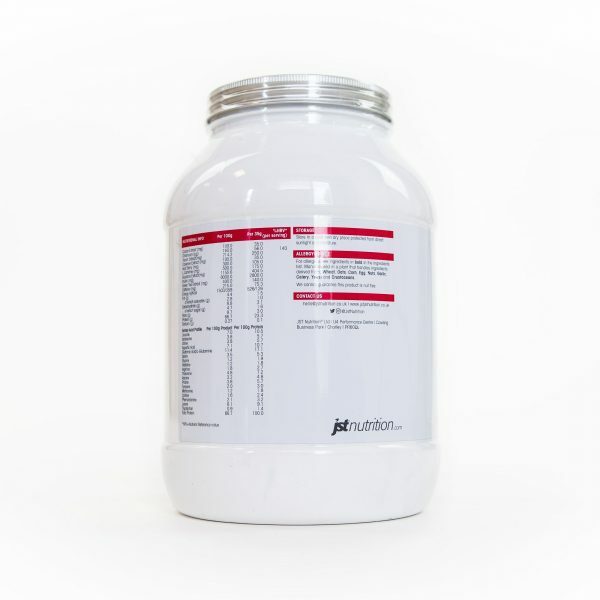 Protein contributes to a growth in muscle mass and the maintenance of normal bone. Mix 1x 35g scoop/serving with 250ml Water/Skimmed Milk. Mix 1x 35g scoop/serving with 150ml Water/Skimmed Milk. Take 1x 35g serving daily. 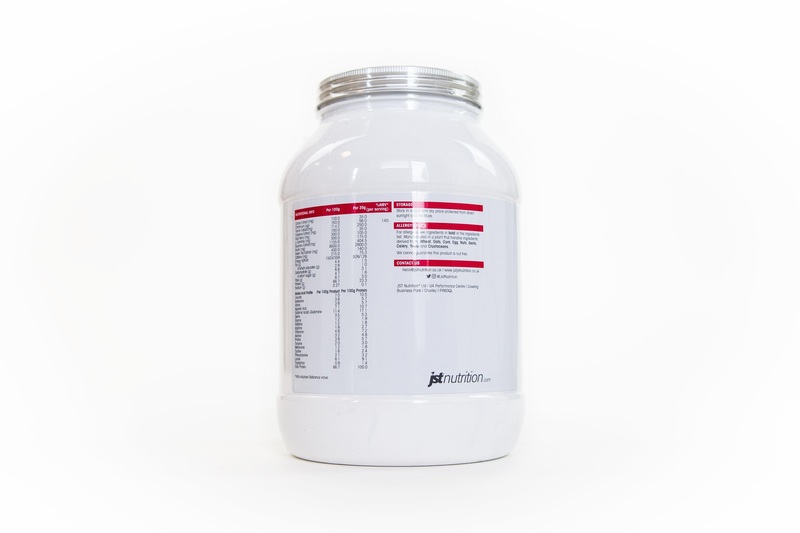 Whey (Milk) Protein Concentrate Contains Emulsifier: Soya Lecithin (Milk), Inulin, Thickener (Carboxymethyl Cellulose, Xanthan Gum), Flavourig, Guarana Extract, Colour (Beetroot Red), Yacon Extract, L-Carnitine, Green Tea Extract, Acai Berry Extract, Sweetener (Sucralose), Cocoa Extract, Cayenne Extract, Chromium Picolinate. **Nutritional Information based on Strawberry Cheesecake Flavour. Contains Dairy* This product is manufactured in a plant that handles: soya, wheat, egg, pea and nut products. Suitable for vegetarians but not for vegans (dairy). Contains Caffeine: Not suitable for children, pregnant or lactating women or people sensitive to caffeine. This has got to be one of the best tasting protein shakes I've ever had. The rasberry ripple tastes amazing, it doesn't have that weird after taste that some have it tastes exactly like a rasberry yoghurt. Ive only been using this product for a week so I can't say that I'm seeing results quicker but I can tell that by the quality of it, I'm sure I will. It mixes really well and there are no lumps when I use with my shaker. Brilliant protein, I highly recommend to anyone. I got the raspberry ripple flavour and genuinely couldnt be more thrilled with it. The jar lasts ages. Will 100% be ordering more when needed. Best protein shake I've ever tried. I've used TOP protein shakes from myprotein, USN, optimum nutrition etc & this has beat them all. I have as a snack between meals & after a workout. Helped me loose 2 stone last year! Gained weight through medication so just bought a whole new batch of these shakes + SEMTEX + TONEX! I have struggled with my weight for years .I decided to give this a try. Wow!! the flavours are so tasty my faves are Cookie Dough & crème Bruelee I have lost 8lbs in 8 weeks. Simply the best Forget the Rest!! The best protein I've ever had! I have the raspberry ripple flavour and it tastes like raspberry milkshake; not too sweet and it's noticeable helped me gain lean muscle mass! I absolutely recommend! Only had this product today so I'm basing my comment on the taste which is the best I have tasted , I made a thick shake which was like a mc donalds shake would really recommend for it's taste. By far the best tasting protein I have tried. Raspberry ripple tastes just like raspberry yoghurt and is enjoyable to drink unlike many other protein shakes I have tried in the past. This is the best protein shake I have tasted! I also like the Cookie Dough and Creme Brûlée but Raspberry Ripple is the best :) I would definitely recommend it! Just arrived today the lemon cheesecake flavour and I have to say I was nervous whether or not I'd like it but its lovely!! Can't wait to have this after a workout thick and not powdery!! Raspberry ripple flavour, so nice to find something so good for you taste so nice. Until using this i was forever in and out of the fridge.. but this is extremely filling and is combatting my fridge picking!! Its a must have... its going to be on my shopping list frequently.. replacing all the bad stuff!! Put this in a blender with milk and its delicious! Works really well too. Bought this in the raspberry flavour and I'm not a lover of protein shakes but this is really nice and I am now tempted to order the lemon one to try. 1st time to try this and i can tell you, hand on heart, that its the best tasting protein shake i have ever used! it smells lush and it tastes lush! im on my 3rd bottle of Semtex and i will be using this product just as much. i cant recommend these products highly enough! The smell from this hits you straight away when you first open this, I got the chocolate orange flavour and it really smells like the chocolate bar, I can almost hear Dawn French shouting "It's not Terry's it's mine" at me every time I open it. My first impression was how sherbety it tasted which I wasn't too sure about but considering the cost I stuck with it. I soon found by about the 2nd day I was craving it! It filled me up and stopped any sweet cravings which is excellent as far as I'm concerned. I really recommend this and would like to try other flavours, it would be ideal if you could provide sample sachets. I bought the chocolate orange flavour and I've been classing that as my cheat through the week! It tastes delicious. It dissolves easily too and doesn't taste powdery. 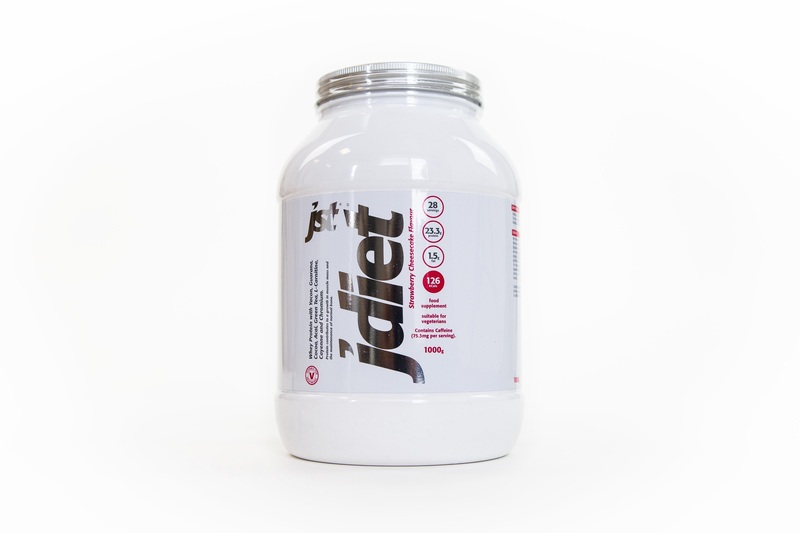 JDiet is a diet whey protein that is great as a healthy snack or pre workout shake. 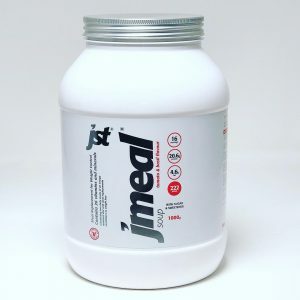 How & when do I take JDiet? Take in between two meals so eg. breakfast - lunch or have 30 minutes pre-exercise. How many JDiet shakes do I take daily? Recommended Daily Allowance 'RDA' is 1 JDiet x35g scoop/serving daily. How long can I take JDiet for? You can take JDiet daily. 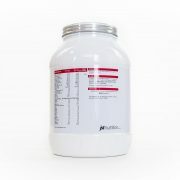 Does JDiet have any side-effects? Yes. 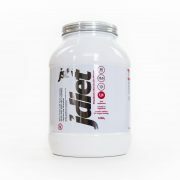 JDiet suitable for vegetarians but not for vegans (dairy). Can I drink alcohol whilst taking JDiet? Can I take JDiet with the contraceptive pill? 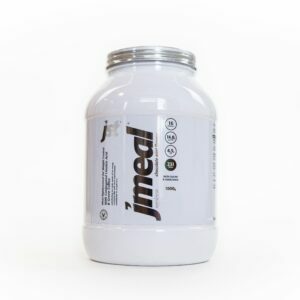 Can I use JDiet without exercise? How long before I see results from taking JDiet?